There’s no stopping embroidery. As more people discover the traditional craft, the more that it continues to grow and change. Although many people work in traditional stitches and application techniques, their use of contemporary imagery makes the age-old practice new and modern. Sol Kesseler’s work is an example of new-school embroidery reinterpreting techniques from hundreds of years ago. 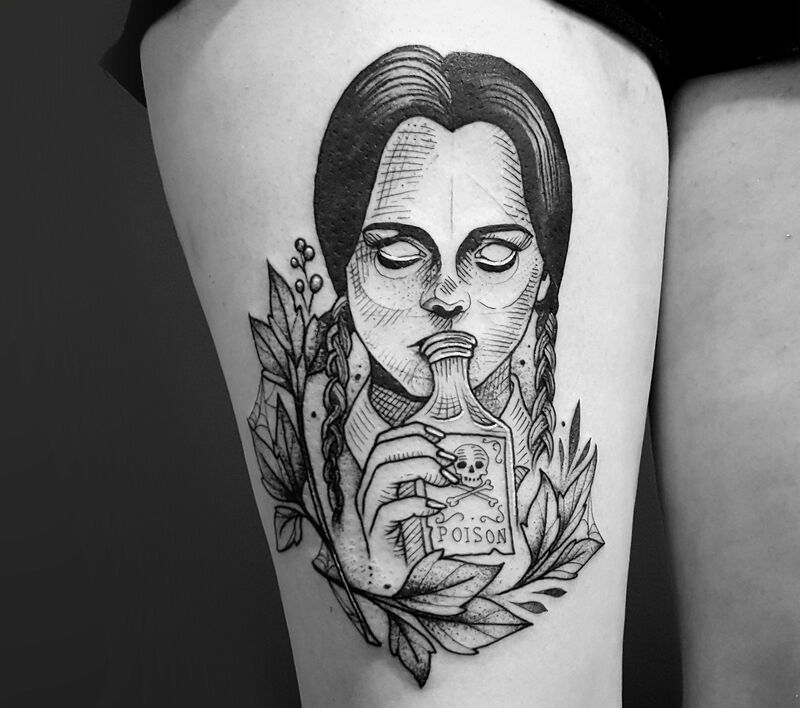 She employs a style called blackwork, which dates back to the 16th century. 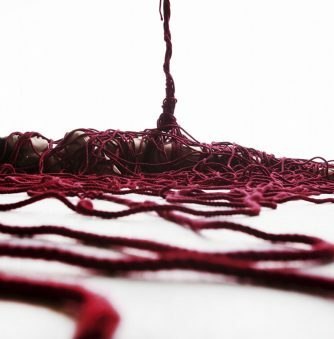 The approach uses thin black thread to create images and patterns akin to a fine line drawing. Bugambilo creates portraiture and stitches in blackwork to give details to, most notably, the facial features. 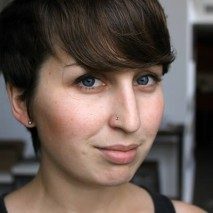 But she makes it modern by fusing abstract patterns, bright colors, and other stitches into her work. 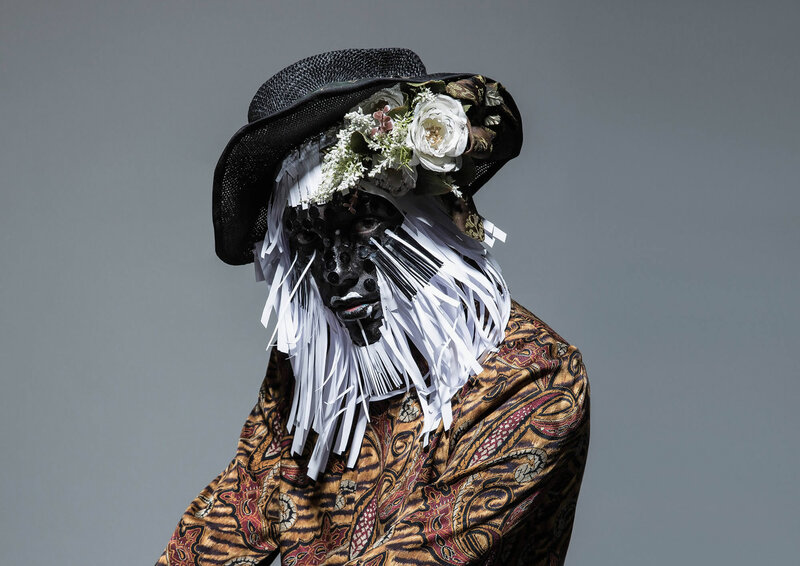 It’s no longer applicable to only call embroidery something that “grandmas do.” Here are 10 artists contemporizing the craft. 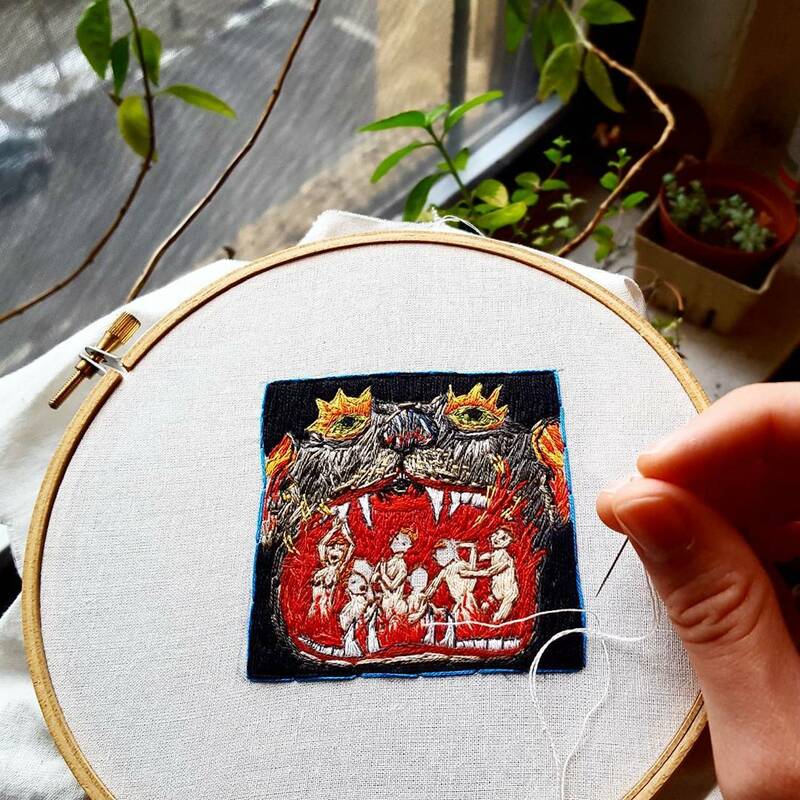 And this isn’t the only time we’ve featured incredible embroidery artists; in 2016, we picked 10 artists who advance the field with their work. 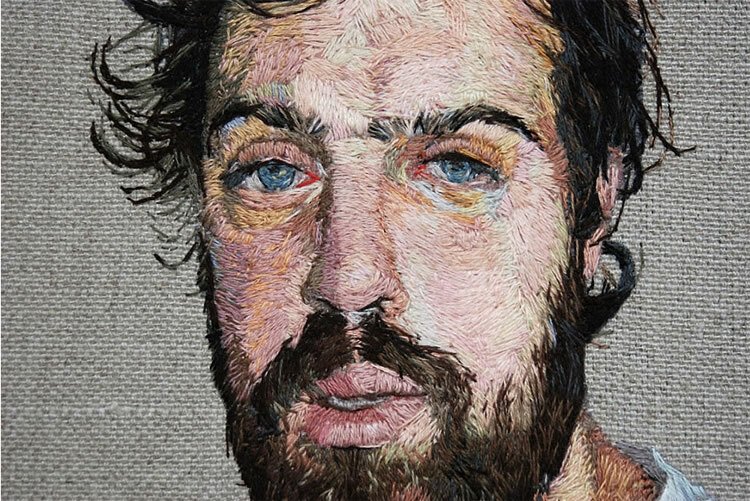 Bugambilo uses basic and advanced stitches to produce complex portraiture. Laura McKellar’s pieces start on the computer and are completed offline. 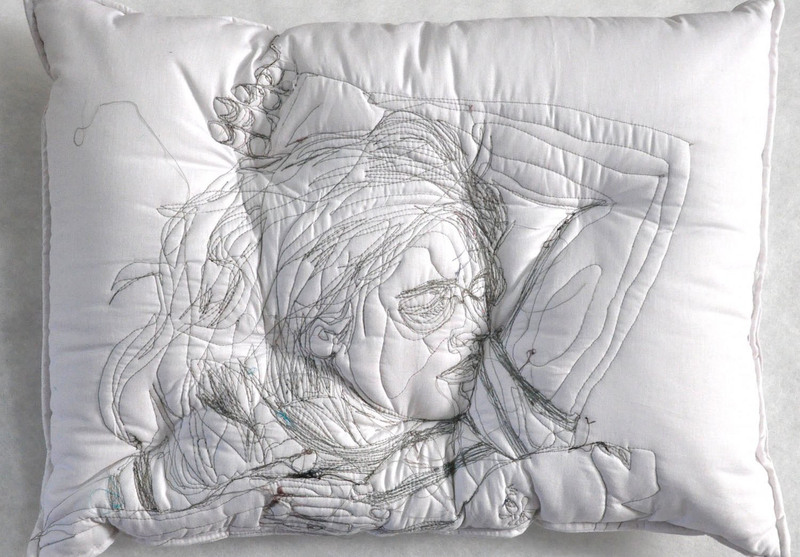 Maryam Ashkanian’s “Sleep Series” is an ongoing project. Sheenna Liam never imagined she’d be working in embroidery. Sheena Liam’s portraits look like models that are poised for a photo shoot. 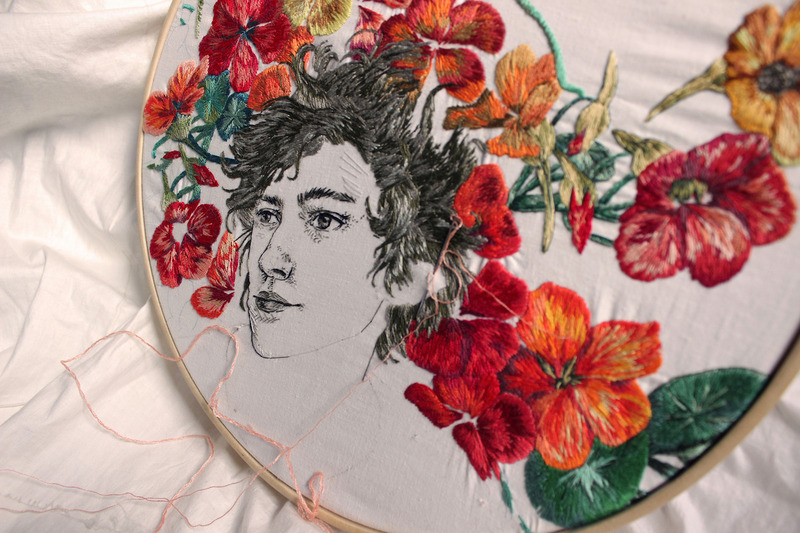 Her hoop art’s emphasis on posing and beauty make sense given Liam’s history of embroidery; she says that she picked up embroidering during her “downtime traveling around for modeling.” Perhaps her real experiences with hair styling inspired the most striking characteristic of her work—Liam lets the embroidery thread hang loosely from her fabric and styles it like a real hairdo. 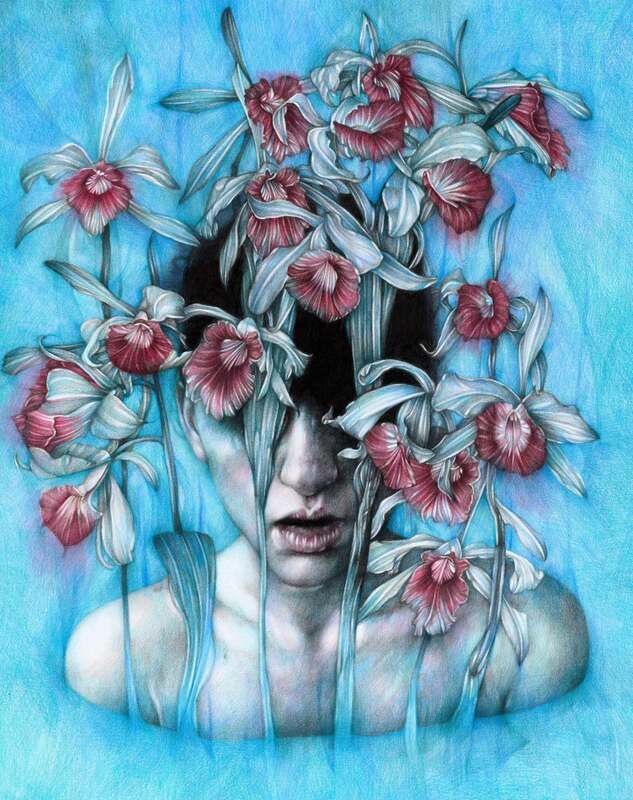 This piece by Mika Hirasa is based on an Aesop’s Fables. 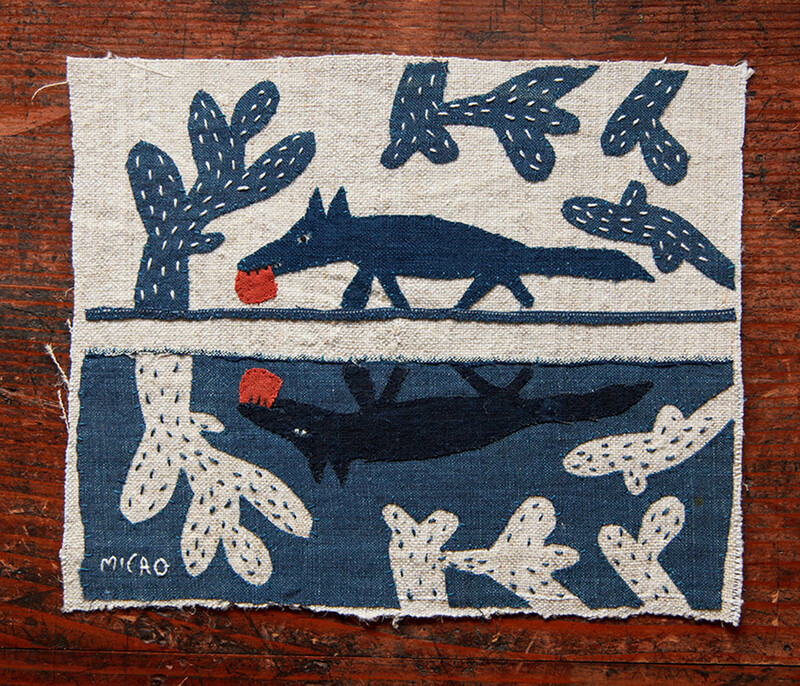 Mika Hirasa produces narrative illustrations using a fusion of embroidery and applique. Applique is akin to collage, except it uses fabric. 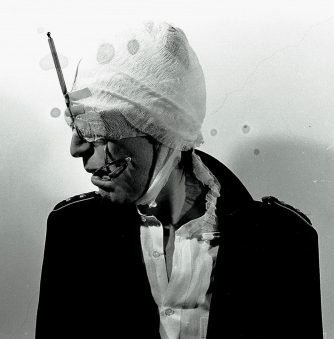 In Hirasa’s case, she cuts out pieces of cloth and tacks it to a larger piece of fabric using stitching. Embroidery is used like a pen or pencil; it accents fine details that bring the applique to life. 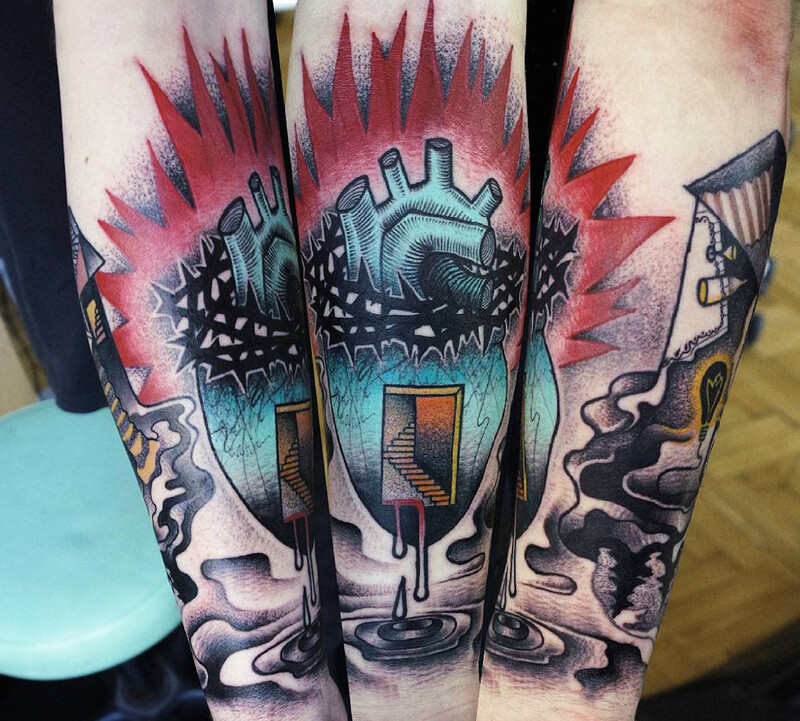 Bugambilo often shares her captivating works in progress. Sol Kesseler, aka Bugambilo, redefines portraiture by combining delicate stitched lines with abstract patterns and bold colors. The black thread is handled like you would a pen, complete with tiny “stippling” and varied line weights. 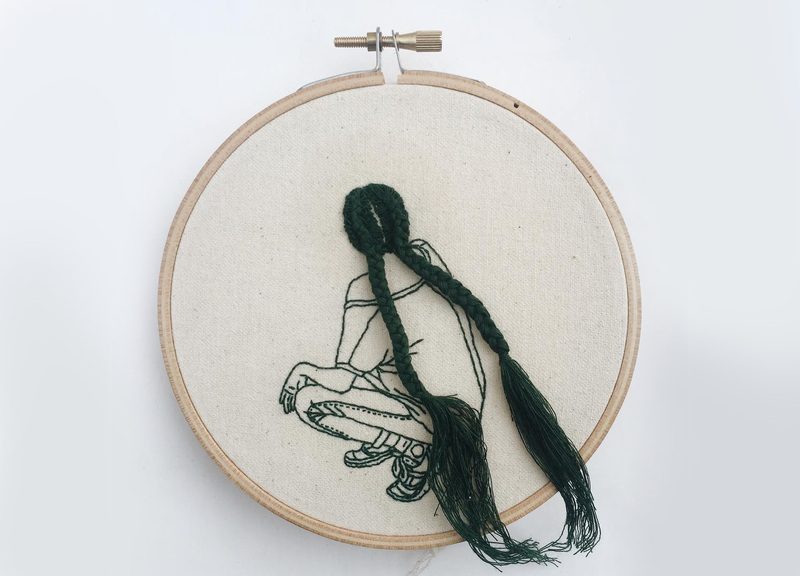 This style is just one facet of Bugambilo’s portfolio; in her online shop, she sells one-of-a-kind hoop art from tiny kitties to embroidered herbaria. 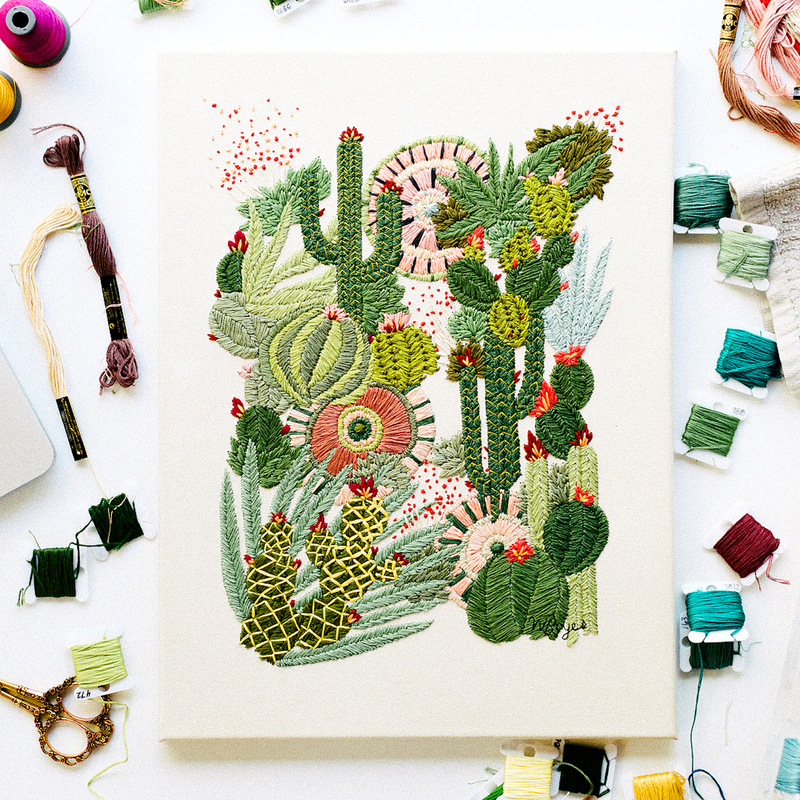 In addition to cacti, TrueFort has a bustling series of floral bike embroideries. True Fort is the studio name for Walker Boyes. 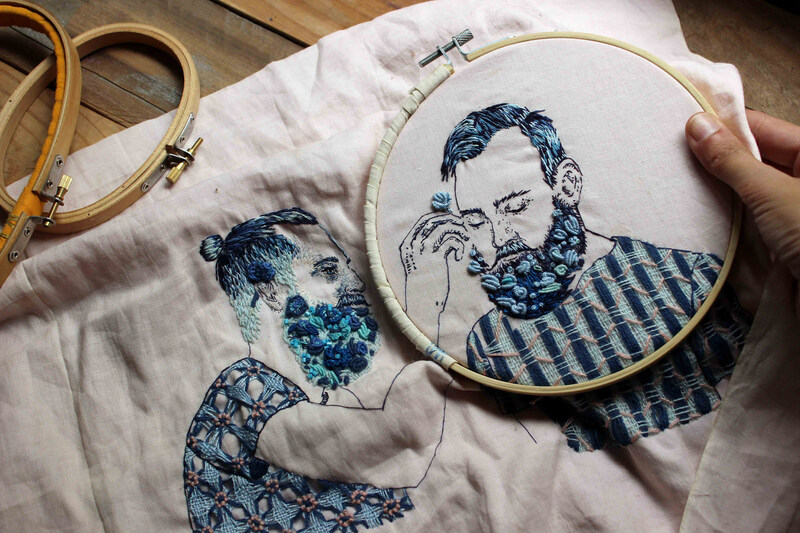 Citing himself as a “constantly creating” photographer, embroidery artist, and pattern designer, his shop is almost exclusively displaying his embroidery work. Unlike many embroidery artists, Boyes works on stretched canvas. 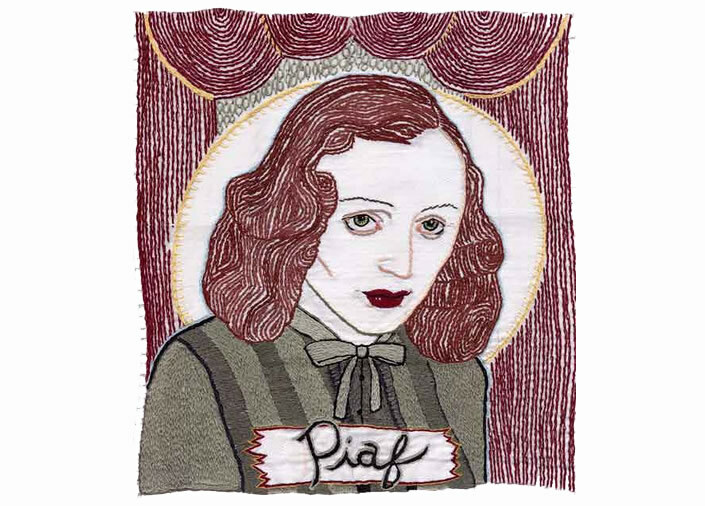 When complete, his embroideries hang on the wall like a thread painting. Humayrah Bint Altaf was educated at the Royal School of Needlework in England. Though we often think of embroideries as being just with thread, it encompasses much more than that. Beading and metalwork is another form that stitching can take. 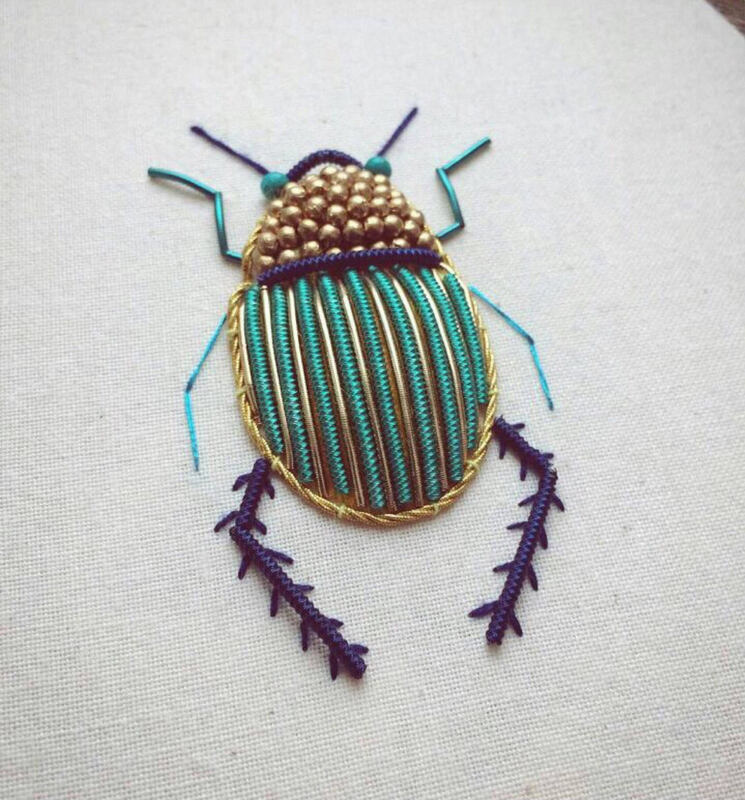 Humayrah Bint Altaf creates sculptural insects using wire and layers of padding to produce a tapered effect on the bug’s body. The meticulous process involves her cutting individual metal strips to size and then using beeswax to sewn into place. In addition to the wire, she uses antique gold, turquoise beads, and antique gold cords. 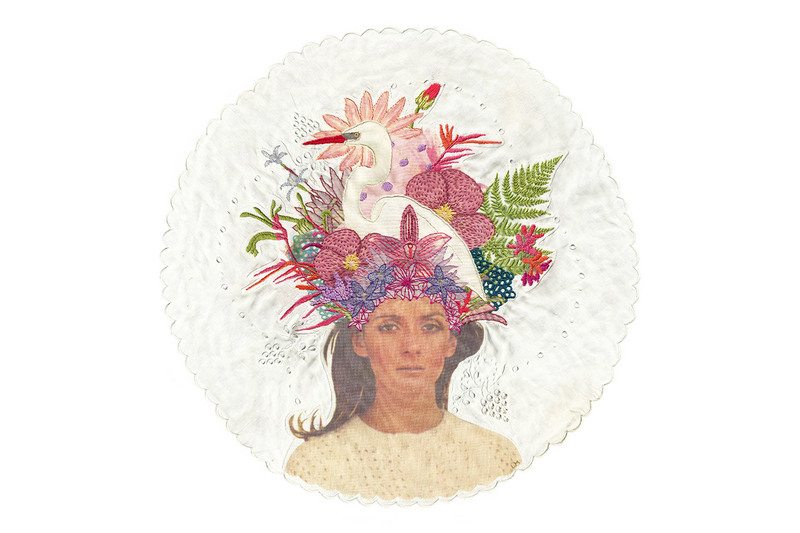 Danielle Clough’s unusual embroideries have grown worldwide acclaim. 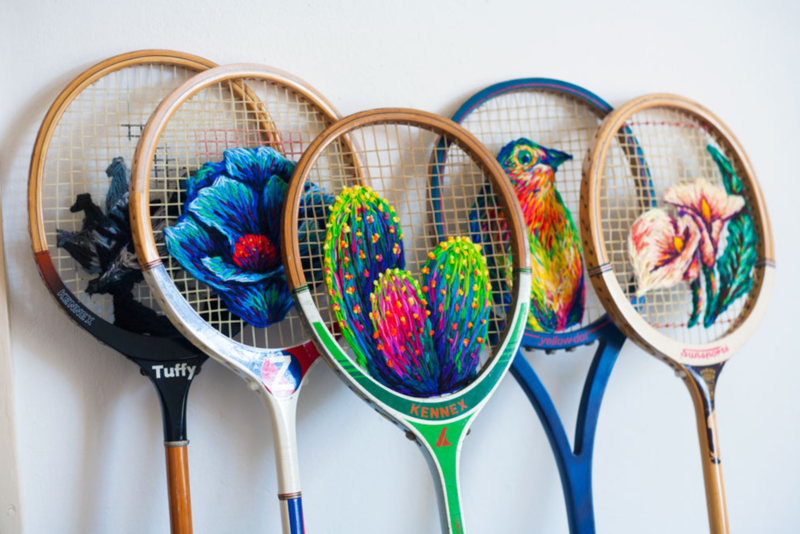 Another artist thinking beyond the confines of a hoop, Danielle Clough uses old tennis rackets as an unconventional canvas. She got the idea to use this gridded surface after seeing a pixelated heart pattern on a grid. 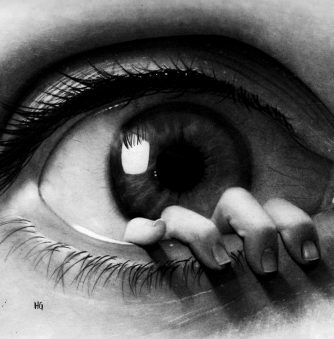 “I thought, ‘I can do that. But in my own way,’” she recalls. Her process uses a photographic reference which is turned into a black-and-white image that’s drawn on the racket. Then, it’s like a coloring book, with thread. The jewel-toned serpents sparkle thanks to sequins. 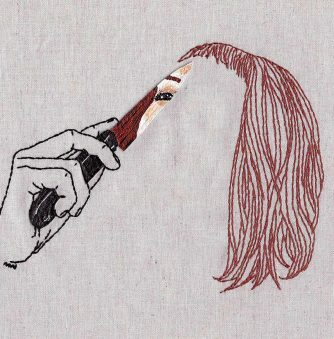 After completing this embroidery, Molly Stern turned it into a patch.